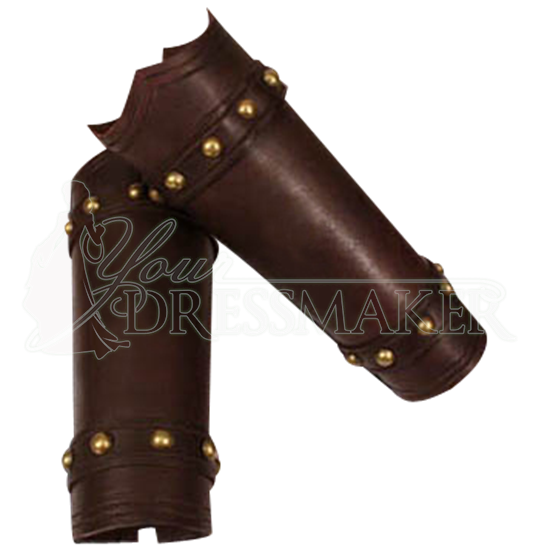 Handmade out of high quality natural leather, the Studded Leather Arm Bracers are great arm accessories for wide variety of medieval inspired outfits. These bracers feature bands of metallic studs for a touch of medieval style. Sold in pairs, these bracers are worn on the lower portion of the arms and are fastened with lace up cords threaded through grommets on their reverse side, making their fit easy to adjust. The upper cuff displays a scalloped edge for added detail. 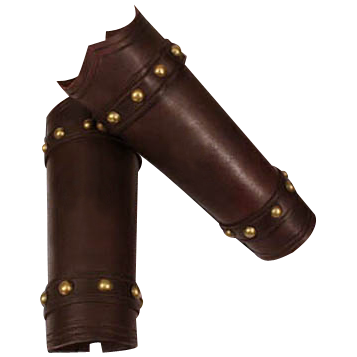 The Studded Leather Arm Bracers are available in both black and dark brown leather and are ideal for wearing to your next LARP event, historic reenactment, or Renaissance festival.